Urgent Care of Texas (Arlington) - Book Appointment Online! Our Physicians have seen it all. 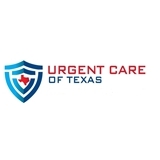 From treating flu outbreaks to stitching up lacerations and setting the broken bones of local professional athletes, doctors and qualified staff members at Urgent Care of Texas can treat virtually all your non-life-threatening emergency medical conditions. 651 N Denton Tap Rd. Not sure if this is what happens all the time, but they didnt have the doctor there at the time. And I was asked to see the PA instead. Also this is an urgent care facility. He and his staff were very friendly and professional! Great service!!! She listened to my concerns and went with a medication that I know works well for me. Great bedside manner - will definitely see her on a regular basis from now on. Thank you!